Bu araştırma basketbolda farklı gruplama yöntemleriyle oynanan dar alan oyunlarının egzersiz şiddetlerini karşılaştırmak amacıyla yapılmıştır. Araştırmaya 24 erkek basketbolcu (yaş=14.6±0.51 yıl, vücutağırlığı=70.24±12.57 kg, boy=176.3±4.11 cm) gönüllü olarak katılmıştır. Başlangıçta sporcuların vücut kompozisyonu hesaplanmış ardından 1.gün 20 m mekik koşusu uygulanarak maksimal oksijen kapasiteleri (VO2maks) tespit edilmiş, VO2maks sonuçlarına göre sporcular 48 saat arayla 3x3 ve 4x4 dar alan oyunu oynayacak şekilde gruplandırılmıştır. 3.gün 3x3, 5.gün 4x4 yarı saha 10’ar dakika dar alan oyunu oynatılmıştır. Oyun süresince kalp atım hızları (KAH) takip edilmiş, oyun sonrası sporcuların kulak memesinden laktik asit (LA) ölçümü yapılmıştır. Maç sonrası Algılanan zorluk derecesi (AZD) Borg Skalası yardımıyla kaydedilmiştir. 3x3 ve 4x4 dar alan oyunlarının gruplar arası dinlenik ve maksimal KAH, LA ve AZD arasındaki farklılıklar Wilcoxon Signed Rank testi ile karşılaştırılmıştır. Analiz sonuçlarına göre 3x3 dar alan oyunlarında KAHdinlenme 84.10±7.77 atım/dk, KAHmaks184.40±12.89 atım/dk, LAdinlenme 1.45±0.46 mmol/L, LAmaks 4.55±2.20 mmol/L, AZD 11.60±2.17; 4x4 dar alan oyunlarında KAHdinlenme 81.00±11.46 atım/dk, KAHmaks188.10±10.35 atım/dk, LAdinlenme 2.25±0.66 mmol/L, LAmaks 4.39±1.68 mmol/L, AZD 11.10±1.60 olarak bulunmuştur. 3x3 ve 4x4 dar alan oyunlarında KAH, LA ve AZD arasında istatistiksel olarak anlamlı fark bulunamamıştır (p>0.05). Sonuç olarak, basketbolda yarı sahada oynanan 3x3 ve 4x4 oynanan dar alan oyunlarına verilen fizyolojik cevaplar benzerlik göstermektedir. Bu tarz dar alan oyunları egzersiz şiddeti bakımından farklı adaptasyonlar yaratmasa da teknik anlamda adaptasyonlar sağlayacağı düşünülmektedir. Planlanacak araştırmalar için farklı oyun süreleri, topla buluşma sayıları azaltılarak ya da benzer teknik beceriye sahip kişilerden oluşan gruplandırmalar yapılarak fizyolojik cevaplar tekrar değerlendirilebilir. The purpose of this study was to compare the exercise intensities of small sided games played with different grouping methods in basketball. Twenty-four male basketball players (age=14.6±0.51 years, bodyweight=70.24±12.57 kg, height=176.3±4.11 cm) volunteered to participate in the study. In the beginning, the body weight, body height, body fat percentage and body mass index of the basketball players were measured. Then their maximal oxygen capacities (VO2max) were determined after the 1st day 20 m shuttle run and the players were grouped according to their VO2max results with an interval of 48 hours to play 3x3 and 4x4 small sided games. On the 3rd day 3x3, on the 5th day 4x4 half court (14x15 m) small sided games each for 10 minutes were played. During the game, the players’ heart rates (HR) were followed with a Polar watch and within 2 minutes after the game the players’ lactic acid (LA) level was measured with the arterial blood taken from their earlobes. After the game, the rate of perceived exertion (RPE) was recorded with the Borg Scale. The differences between the rest and maximal HR, LA and RPE between group 3x3 and 4x4 small sided games were compared with the Wilcoxon Signed Rank Test. According to the results of the analysis, in the 3x3 small sided games, HRrest was 84.10±7.77 beat/min, HRmax was 184.40±12.89 beat/min, LArest was 1.45±0.46 mmol/L, LAmax was 4.55±2.20 mmol/L and RPE was 11.60±2.17; in the 4x4 small sided games, HRrest was 81.00±11.46 beat/min, HRmax was 188.10±10.35 beat/min, LArest was 2.25±0.66 mmol/L, LAmax was 4.39±1.68 mmol/L and RPE was 11.10±1.60. A statistically significant difference was not found between HR, LA and RPE in the 3x3 and 4x4 small sided games (p>0.05). As a result, the physiological reactions given to the 3x3 and 4x4 small sided games in basketball display similarities. Although these kinds of small sided games do not create different adaptations in terms of exercise intensity, it is considered that they will provide adaptations technically. For the future studies planned, different game times can be considered, the players’ number of meeting with the ball can be decreased or groupings can be done with players who have similar technical skills and the physiological results can be evaluated again. Abdelkrim, N. B., El Fazaa, S., &El Ati, J. (2007). Time-motion analysis and physiological data of elite under-19-year-old basketball players during competition. British Journal of Sports Medicine, 41(2), 69-75. Abdelkrim, N. B., Castagna, C., El Fazaa, S., &El Ati, J. (2010). The effect of players' standard and tactical strategy on game demands in men's basketball. The Journal of Strength & Conditioning Research, 24(10), 2652-2662. Alexiou, H., & Coutts, A. J. (2008). A comparison of methods used for quantifying internal training load in women soccer players. International Journal of Sports Physiology and Performance, 3(3), 320-330. Aroso, J., Rebelo, A. N., & Gomes-Pereira, J. (2004). Physiological impact of selected game-related exercises. Journal of Sports Sciences, 22(6), 522. Atlı, H., Köklü, Y., Alemdaroğlu, U., &Koçak, F. Ü. (2013). A comparison of heart rate response and frequencies of technical actions between half-court and full-court 3-a-side games in high school female basketball players. The Journal of Strength & Conditioning Research, 27(2), 352-356. Buchheit, M., Laursen, P. B., Kuhnle, J., Ruch, D., Renaud, C., &Ahmaidi, S. (2009). Game-based training in young elite handball players. International Journal of Sports Medicine, 30(04), 251-258. Castagna, C., Impellizzeri, F. M., Chaouachi, A., Ben Abdelkrim, N., &Manzi, V. (2011). Physiological responses to ball-drills in regional level male basketball players. Journal of Sports Sciences, 29(12), 1329-1336. Coutts, A. J., Rampinini, E., Marcora, S. M., Castagna, C., &Impellizzeri, F. M. (2009). Heart rate and blood lactate correlates of perceived exertion during small-sided soccer games. Journal of Science and Medicine in Sport, 12(1), 79-84. Delextrat, A., &Kraiem, S. (2013). Heart-rate responses by playing position during ball drills in basketball. International Journal of Sports Physiology and Performance, 8(4), 410-418. Duarte, R., Batalha, N., Folgado, H., &Sampaio, J. (2009). Effects of exercise duration and number of players in heart rate responses and technical skills during futsal small-sided games. The Open Sports Sciences Journal, 2, 1-5. Esposito, F., Impellizzeri, F. M., Margonato, V., Vanni, R., Pizzini, G., &Veicsteinas, A. (2004). Validity of heart rate as an indicator of aerobic demand during soccer activities in amateur soccer players. European Journal of Applied Physiology, 93(1-2), 167-172. Gabbett, T. J. (2006). Skill-based conditioning games as an alternative to traditional conditioning for rugby leagueplayers. Journal of Strength and Conditioning Research, 20(2), 309. Gabbett, T., Jenkins, D., &Abernethy, B. (2009a). Game-based training for improving skill and physical fitness in team sport athletes. International Journal of Sports Science & Coaching, 4(2), 273-283. Gabbett, T. J., Jenkins, D. G., & Abernethy, B. (2010b). Physiological and skill demands of on-side and off-side games. The Journal of Strength & Conditioning Research, 24(11), 2979-2983. Günay, M., Tamer, K., & Cicioğlu, İ. (2010). Spor Fizyolojisi ve Performans Ölçümü. Gazi Kitabevi. Hill-Haas, S. V., Dawson, B., Impellizzeri, F. M., &Coutts, A. J. (2011). Physiology of small-sided games training in football. Sports Medicine, 41(3), 199-220. Impellizzeri, F. M., Rampinini, E., Coutts, A. J., Sassi, A. L. D. O., &Marcora, S. M. (2004). Use of RPE-based training load in soccer. Medicine & Science in Sports & Exercise, 36(6), 1042-1047. Jones, S., &Drust, B. (2007). Physiological and technical demands of 4v4 and 8v8 games in elite youth soccer players. Kinesiology, 39(2), 150-156. Little, T., & Williams, A. G. (2006). Suitability of soccer training drills for endurance training. Journal of Strength and Conditioning Research, 20(2), 316. Little, T. (2009). Optimizing the use of soccerdrillsforphysiologicaldevelopment. Strength&ConditioningJournal, 31(3), 67-74. Katis, A., &Kellis, E. (2009). Effects of small-sided games on physical conditioning and performance in young soccer players. Journal of Sports Science & Medicine, 8(3), 374. Kin, A., Hazır, T., & Ergen, E. (1996). Step ve aerobik egzersizlerinde Borg Skalasının güvenirliği ve geçerliği. Spor Bilimleri Dergisi, 7(4), 04-12. Klusemann, M. J., Pyne, D. B., Foster, C., &Drinkwater, E. J. (2012). Optimising technical skills and physical loading in small-sided basketball games. Journal of Sports Sciences, 30(14), 1463-1471. Köklü, Y. (2008). Futbolda küçük alan oyunlarına verilen fizyolojik cevapların karşılaştırılması. Yüksek Lisans Tezi. Pamukkale Üniversitesi Sağlık Bilimleri Enstitüsü, Pamukkale. Köklü, Y., Sert, Ö., Alemdaroğlu, U., & Arslan, Y. (2015). Comparison of the physiological responses and time-motion characteristics of young soccer players in small-sidedgames: The effect of goalkeeper. The Journal of Strength & Conditioning Research, 29(4), 964-971. Mackenzie, B (2005) 101 Performance Evaluation Test, Electric Word Plc, London. Marcelino, P. R., Aoki, M. S., Arruda, A. F. S., Freitas, C. G., Mendez-Villanueva, A., &Moreira, A. (2016). Does small-sided-games’ court area influence metabolic, perceptual, and physical performance parameters of young elite basketball players?. Biology of Sport, 33(1), 37. McCormick, B. T., Hannon, J. C., Newton, M., Shultz, B., Miller, N., &Young, W. (2012). Comparison of Physical Activity in small-sided basketball games versus full-sided games. International Journal of Sports Science & Coaching, 7(4), 689-697. Ortega Toro, E., Palao Andrés, J. M., &Puigcerver Mula, C. (2009). Frecuencia cardiaca, formas de organización y situaciones de juego en baloncesto. Revista Internacional de Medicina y Ciencias de la Actividad Física y del Deporte/International Journal of Medicine and Science of Physical Activity and Sport, 9(36). Owen, A. D. A. M., Twist, C. R. A. I. G., & Ford, P. A. U. L. (2004). Small-sided games: the physiological and technical effect of altering pitch size and player numbers. Insight, 7(2), 50-53. Rampinini, E., Impellizzeri, F. M., Castagna, C., Abt, G., Chamari, K., Sassi, A., &Marcora, S. M. (2007). Factors influencing physiological responses to small-sided soccer games. Journal of Sports Sciences, 25(6), 659-666. Reilly, T., &Gilbourne, D. (2003). Science and football: a review of applied research in the football codes. Journal of Sports Sciences, 21(9), 693-705. Sampaio, J., Abrantes, C., &Leite, N. (2009). Power, heart rate and perceived exertion responses to 3x3 and 4x4 basketball small-sided games. Revista de Psicología del Deporte, 18(3), 463-467. Sevim Y. (2003). Basketbolda Kondisyon Antrenmanı. Nobel Yayın Dağıtım, Ankara. Stone, N. M., &Kilding, A. E. (2009). Aerobic conditioning for team sport athletes. Sports Medicine, 39(8), 615-642. Sönmez, G. T. (2002). Egzersiz ve Spor Fizyolojisi. Ankara Ata Ofset Matbaacılık, 23. Ziyagil, M. A., &Eliöz, M. (2005). Basketbol: Antrenman Bilgisi, Kenar Yönetimi, Teknik, Taktik. Morpa Kültür yayınları. ISNAD Aksen-Cengizhan, Pelin , Gülü, Mehmet , Erikoğlu-Örer, Gamze , Doğan, Ali Ahmet . "Basketbolda Farklı Gruplama Yöntemleriyle Oynanan Dar Alan Oyunlarının Egzersiz Şiddetlerinin Karşılaştırılması". 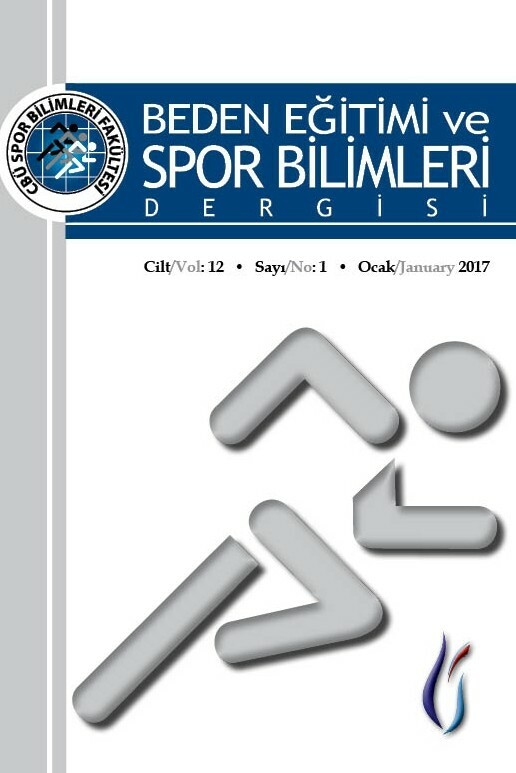 CBÜ Beden Eğitimi ve Spor Bilimleri Dergisi 12 / 2 (December 2017): 145-154.